Ever wonder how some people just make health and fitness look easy? While they're over there cooking pretty meals and sweating on the regular, you're struggling to keep up with life. It can seem like a never ending roller coaster. One week is awesome, the next... well not so much. 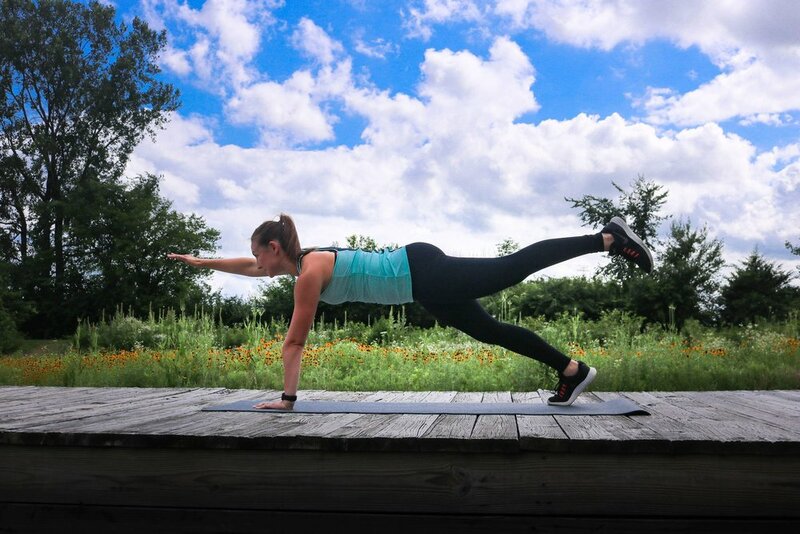 You may think that kind of lifestyle, where health just feels natural, is just reserved for health and fitness professionals, but I'm here to bust that myth and give you the 4 steps it takes to create that. It's going to require some patience and persistence, but I promise the payoff is sweet. By following these steps, along with the Well-being Roadmap you'll be right on track to align fitness, nutrition, and strong mindset skills seamlessly into your life, which will ultimately lead to more freedom and happiness. While working out and healthy eating may be two obvious steps, you may be wondering what the other 2 could possibly be! Think of these four keys as the spokes on a wheel. You must have all of them in order for the wheel to be balanced and turn. If one spoke on the wheel is missing, the wagon (aka your body) is more likely to break down. Every goal should start with a vision. Where are you going and how will you know when you've arrived get there? What does success look like to you? Defining this is a MUST no matter what level you are, beginner or advanced. It's time to dream big, craft a vision, and set realistic goals (a must) so you can go get 'em! Working out should not feel like a burden. It should build you up, not break you down. It's also important to note that movement in any form is a beautiful thing. If it's making you stronger, and healthier, you're winning. Don't get caught up in the "shoulds." Experiment with what you enjoy, craft a plan (it can be as detailed as you like), and map out small actionable goals that will support your overall vision from step 1. Want to know the number one struggle I hear from my clients? Quite obviously... it's nutrition. While this is often the hardest part of health and fitness, it can really be broken down into simple steps. Remember that you don't have to fit into a box. There is so much overkill in the diet industry with promotions on keto, intermittent fasting, calorie counting... the list goes on. Focus on one small nutritional change at a time. This has much more lasting power than going ALL IN and trying to be perfect. If you're doing everything perfect, but missing the mindset piece, sadly you won't get very far in your health and fitness endeavors. Admittedly, this is my weakest category of the 4 we've talked about. Identify and break down any limiting beliefs or negative words you may be saying to yourself. This, in itself, can be a challenge because we often don't sit down long enough (un-stimulated by technology) to hear or feel our thoughts. Lean into appreciation and respect for your mind by taking time to center yourself and slooow the heck down. Sometimes taking in all the information is great. But you may be wondering "how do I put it into action in a way that makes sense and works for me?" Now that we've discussed the 4 steps it takes for lifelong health and fitness, you're READY for the Road Map. This is something I created just for you, so you can easily take these 4 steps and seamlessly weave them into your life. Oh yeah, and it's totally free. Think of the [thrive_2step id='1126']Well-being Road Map[/thrive_2step] as a journey. In this free 10-week guide, I break down each of the 4 steps into micro tasks for you to complete. These tasks will be split into specific weeks, allowing you to commit to just ONE thing at a time. This allows you to really FOCUS, which is much needed in our multi-tasking lives! Not only that, but greater success comes from the sum of our small daily actions, not by trying to do everything at once. The same goes for your health! If you find yourself stuck in a sporadic cycle with your health and fitness, occasionally frustrated because you can't find a balance... well then this is for you, sister. Let's dig deeper these next 10 weeks so you can form the habits needed to live a strong, happy life and not just for the near future. I'm talking long-term! The Road Map can take you from confused and frustrated to alive, energetic, and clear. The other great thing? You can start today. Like, right this minute! 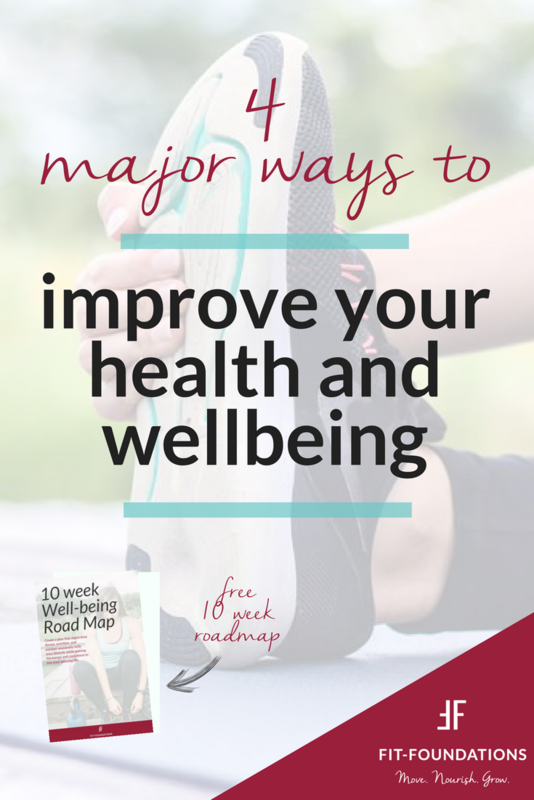 Head on over to Well-being Road Map page to download it now. Download the Road Map, start on week 1, and watch the exciting changes take place! I'm here to help you along the way. >>For more tools to simplify & elevate your health and fitness, check out my other free resources. Let me know your overall goal in the comments section!